Textiles capable of producing electricity from physical movement have been known for a while. A team of researchers from Georgia Institute of Technology have gone a step further and created a fabric that can concurrently harvest energy using both motion and sunshine. Integrating two types of electricity generation into one fabric opens new avenues to design garments that could create their own energy source to power devices such as smartphones or GPS. This hybrid power textile presents a novel solution to charging devices in the field from something as simple as the wind blowing on a sunny day. The study was published in the September 12 issue of Nature Energy. Wang’s team created the fabric with a commercial textile machine to weave together solar cells designed using lightweight polymer fibers with fiber-based triboelectric nanogenerators. Triboelectric nanogenerators use a mixture of the triboelectric effect and electrostatic induction to produce small quantity of electrical power from mechanical motion such as sliding, rotation, or vibration. Wang predicts that the new textile - measuring 320 μm in thickness and woven together with strands of wool - could be combined into curtains, wearable garments, and tents. The fabric is highly flexible, breathable, light weight and adaptable to a range of uses. Fiber-based triboelectric nanogenerators confine the energy produced when certain materials turn out to be electrically charged when they make moving contact with a different material. 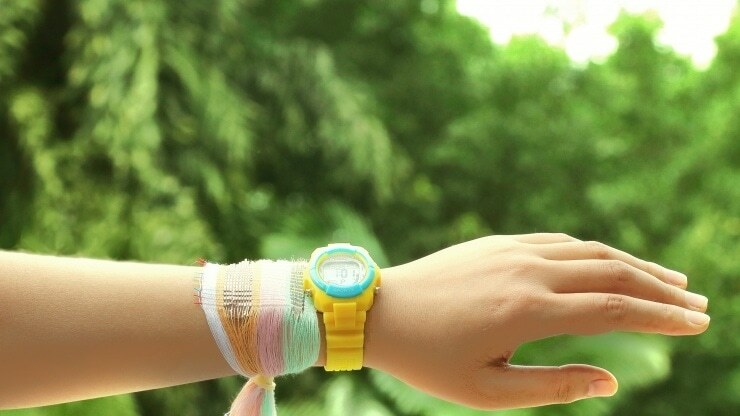 Photoanodes produced in a wire-shaped fashion and could be woven together with other fibers was used by Wang’s team to create the sunlight-harvesting portion of the fabric. The backbone of the textile is made of commonly-used polymer materials that are inexpensive to make and environmentally friendly. The electrodes are also made through a low cost process, which makes it possible to use large-scale manufacturing. Wang’s team used a fabric measuring about the size of a sheet of office paper in one of their experiments, and attached it to rod similar to a small colorful flag. By rolling down the windows in a car, and allowing the flag to blow in the wind, the researchers could produce considerable power from a moving car on a cloudy day. The team also measured the output using a 4 x 5 cm piece, which charged up a 2 mF commercial capacitor to 2 V in one minute under movement and sunlight. While preliminary tests reveal that the fabric can handle repeated and rigorous use, its long-term durability will be a key factor that will be further researched. The researchers will also be looking into further improving the fabric for industrial applications, including designing suitable encapsulation to protect the electrical parts from moisture and rain. This study was supported by the Hightower Chair foundation, KAUST and the “thousands talents” program for pioneer researcher and his innovation team, National Natural Science Foundation of China and the Fundamental Research Funds for the Central Universities.